This revision podcast focuses on the ‘Eastern Question’ that affected the Balkans and threatened the European balance of power from the late 19th Century to the early 20th. The episode stretches from the impact of the Congress of Berlin in 1878 to the Balkan Wars of 1912-13. Particular focus is given to the rise nationalism and Pan-Slavism in the Balkan states and the effects of the Bosnian Crisis of 1908-9. Although this revision podcast covers a much shorter period of time than the previous episodes in the series, the sequence of events that led to the creation of the North German Confederation laid the foundation for the unification of Germany just five years later. This podcast begins with the introduction of Von Roon’s army reforms and the appointment of Bismarck to the role of Chancellor. It then goes on to explain how Bismarck refined his system of Realpolitik through the Polish Revolt, the Schleswig-Holstein Crisis and the Danish War which in turn led to the Convention of Gastein. This episode ends with the Austro-Prussian War and the Peace of Prague – the final stage in Prussia’s subjugation of Austria – and the creation of the North German Confederation. 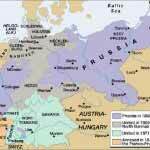 The final episode in this series of revision podcasts concludes the process of German unification. Beginning with the aftermath of the Peace of Prague and the creation of the North German Confederation, it provides an overview of France’s attempts to gain territory (including the Luxembourg Affair) in the face of increasing Prussian dominance. Following a discussion of the Hohenzollern Candidature and Bismarck’s editing of the subsequent Ems Telegram, the podcast finishes with an account of Prussian victory in the Franco-Prussian War of 1870-71.